Tilting Harbour on Fogo Island, Canada. 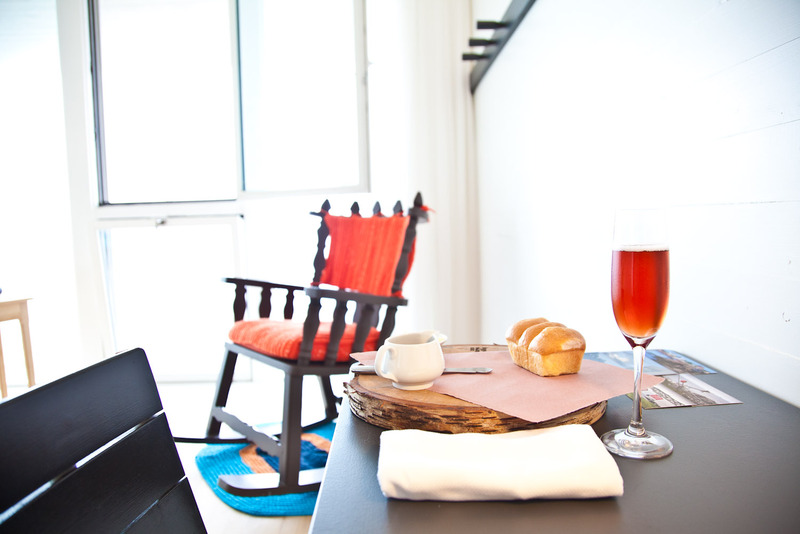 A welcome snack is served in the suite at Fogo Island Inn. 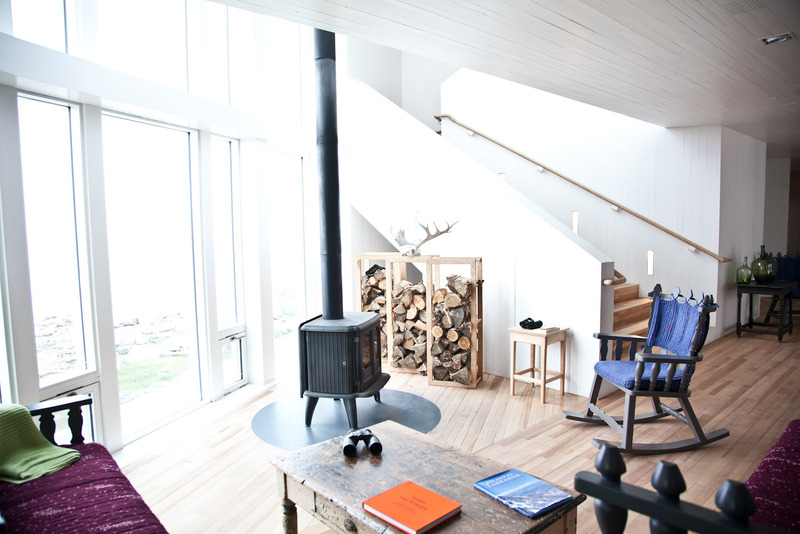 The lobby area of Fogo Island Inn. 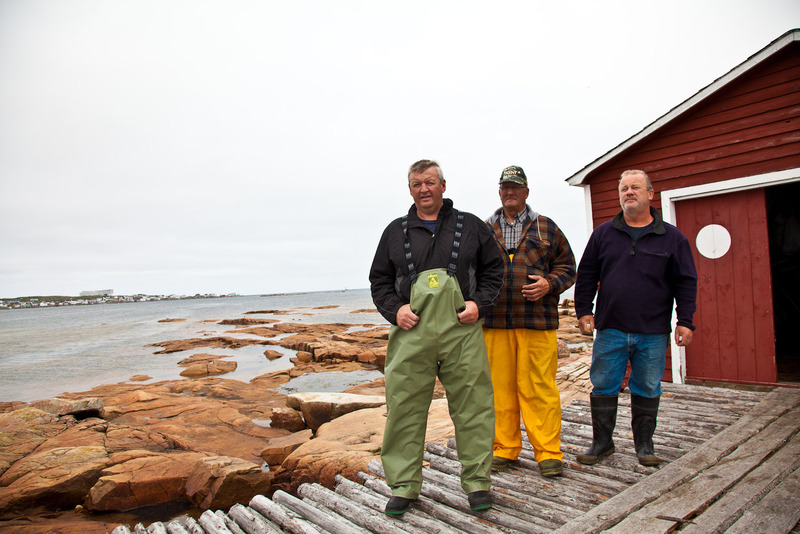 Some Fogo Island locals - (from left) Bern Penton, John Osmond and Walter Penton. Squish Studio, one of six commissioned art studios on the island. The exterior of the inn is designed to resemble cod stages. The dining room at Fogo Island Inn. What’s happening in one of the four corners of the globe could make the world of difference everywhere else. Quentin Long finds out why Newfoundland’s Fogo Island matters to us all. 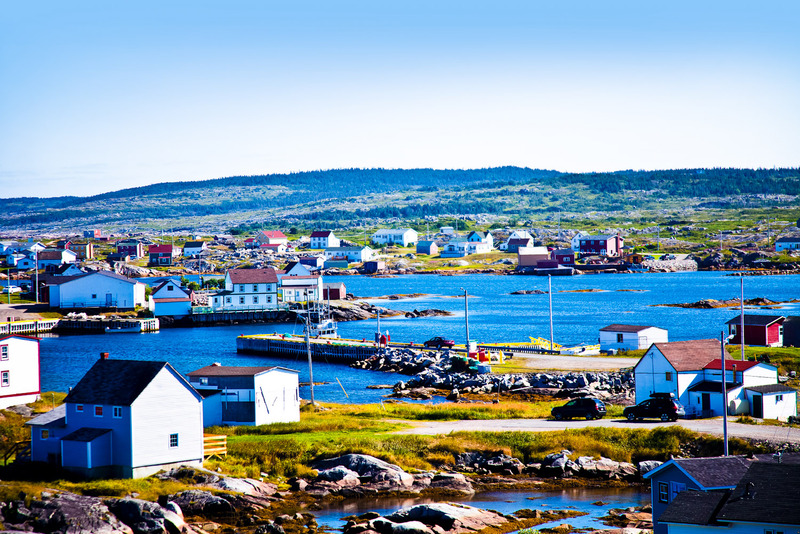 Fogo Island is a spit of land in the middle of the mostly wild and erratic Atlantic Ocean. It is closer to Dublin physically and culturally than it is to Vancouver. It’s a barren place where fishermen have scratched out an existence without much profit for more than 400 years. Nothing much seems to be going on. But, in fact, what is happening on Fogo Island is resonating with profound effect around the first, second and third world. It takes just three days to find out that Phil Foley, who runs Phil’s Shed, is the elder brother of Tyne and Norm (all five Foley brothers’ homes circle their childhood family home); that Al Dwyer lives in the house he was born in while his brother Roy is just 20 metres up the road; that the Pentons congregate around Hackett’s Point at Joe Batt’s Arm; or that Walter, who loves a drink and will talk the back legs off a donkey, has never ventured further than Newfoundland and can’t understand why anyone would want to. These are salt-of-the-earth people who can’t understand what all the fuss is about when it comes to Fogo. They are confronting the potential demise of their way of life with quiet resignation and dignified disappointment. They can’t believe that anyone would care. Tilting is a green gem of Ireland washed up on the northern tip of Fogo Island. Its small, mostly red and white low-roofed buildings squat around the crescent-shaped harbour. They’re not exactly ramshackle but they are also not without imperfections. As the locals would say, they are a little ‘squish’. Ubiquitous cod ‘stages’ and ‘flakes’ dot the foreshore. The stages, a small shed where the catch was once landed from the punt, lean on spindly stilts like newborn giraffes about to collapse into the Atlantic, while the flakes, long bridges where salted cod were laid out to dry, seem to tether the unsteady stages to the harbour shore. They are well maintained but today serve more as storage and maintenance sheds than a source of income. The land is almost browbeaten by the fierce Atlantic winds and winters that freeze the harbour and its inhabitants. An Irish flag is flying on one house overlooking the harbour. The local dialect is like nothing heard on Earth for 400 years, except here. It’s an Irish dialect, jettisoned from the green fields of Éire when the first Irish fishermen put their faith in a better life to be had hauling the huge schools of enormous cod from the surrounding Newfoundland waters. Norm Foley takes me for a walk along one of his favourite coastal tracks, The Head. The ‘rote’ is the sound of the Atlantic’s waves ebbing back from the highest point on a rocky beach. It is an important sound to the islanders. In the famously thick Newfoundland fog, that sound would help fisherman find their way home safely. Each ‘wrote’ is as distinct as the frequency of a flash from a lighthouse and told the fishermen where they were well before GPSs arrived on the island. At Oliver’s Cove, Norm finds his brother Tyne (short for Tiny; real name Fergus) out for a walk. Their conversation is indecipherable to a visitor’s ear. The words are familiar, just not when jumbled together or in that thick Irish accent. Apparently Norm has “thousands of time” today and there was “not a Christian” in Titling when he was about earlier. To have this conversation they need to get “in the lun” to hear each other over the wind. In this dialect, the charm and sacred value of Fogo and its people are found. They’re also found in the ancient art of hand-making a punt, or the homeliness of quilting, hooking and textiles. In the honest industry of how to jig, salt and dry a cod to survive the long hungry month of March, the hardest of the ‘seven seasons’ on Fogo. Or even in how to look after your root store so the vegetables will not spoil and leave your family to starve in winter. These are ancient lores that have kept these marooned people, clinging to a formidable rock in the middle of a dangerous ocean, alive. Nothing much can grow here without fierce human intervention and determination. But what does grow on its own is abundant for its short period of blossom. Wild blueberries and raspberries are lousy all over the island in the middle of summer. Baked apples (called ‘cloudberries’ in Scandinavia) are coming to an end and are now so ripe they’re almost inedible, like soft jubes of tart and crunchy jam. At Oliver’s Cove, rickety handmade picket fences define the boundaries of each Tilting family’s allotment. By virtue of fish blood and guts, seaweed and centuries of effort, beets, cabbages, onions, carrots, lettuce, peas and potatoes are all thriving in the sandy enclosures. But it’s the mighty cod that is at the centre of the entire Fogo Island story. The cod fisheries were the source of food and livelihood. Four hundred years of fishing ended in 1992 when the Canadian government closed the fisheries and caused financial distress and community disruption on an enormous scale. But it was not like they hadn’t seen it coming. The introduction of mechanised trawlers in the 1960s meant these simple ‘inshore’ fishermen saw the cod stocks deplete rapidly. They hung on and adapted post ’92 by drawing crabs and prawns from the ocean, but they encouraged their children to become educated and find other lines of work. That naturally led them to places like St John’s and even further afield. A child of one such fisherman, Zita Cobb left Fogo Island for university in Ottawa. She made more money in her first year of work than the best year her father ever had in 50 years of fishing, and eventually became CFO for one of Canada’s most successful tech companies. “These rocks are my strength. The longer I am away from them the more my energy is depleted,” Zita says, waving a hand over the eggs Benedict in front of her to point at the volcanic lichen-covered rocks beyond. The rocks form the western headland to Joe Batt’s Arm, just five kilometres from Tilting. They rise slowly from the Atlantic Ocean and support Fogo Island Inn, a luxury lodge she has nursed from a crazy vision to awe-inspiring reality. A tall woman, Zita talks with the certainty of someone who is used to convincing board members and investors on the merits of her plans, and fixes you with a gaze of piercing curiosity and intellect. Her passion for the place of her birth is more than evident. She is on a zealous quest to find a solution to the conundrum of how to reinvigorate the failing remote community that she treasures. The seminal moment came in 2002 when one local pointed out to Zita that the education scholarship she has set up was “paying for the kids to leave” as opposed to developing a reason for them to stay. The solution had to be centred on the island and for the islanders. By 2005 she had quit the corporate world, returning to the island to set about finding an answer. Her successful career meant she was uniquely positioned to not just contribute her personal wealth – she has poured CAD$43million of her own money into the island – but her invaluable business acumen. That’s why we are currently sitting in the restaurant of the ultra modern, four-storey Fogo Island Inn, perched unashamedly on the monolithic rocks that fuel Zita; both irresistible forces and immovable objects. 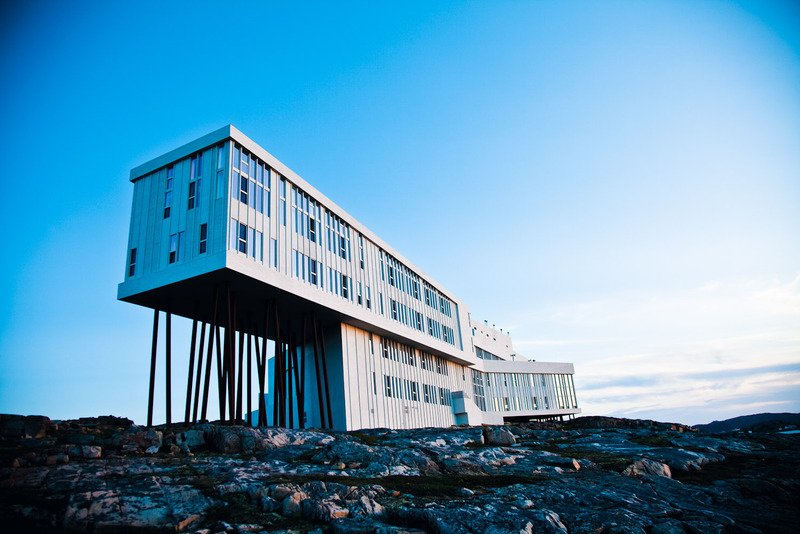 Fogo Island Inn is an astonishing building that muscles the attention away from the dramatic landscape around it: one wing sits on spindly angled legs that borrow from the stilts used to hold up the ubiquitous cod stages. But in itself, the building of an inn solves nothing. It’s how you build and structure the business of an inn that can solve problems. At its heart the inn is a social enterprise that returns value to shareholders. And the shareholders are the Fogo Islanders themselves. The entire objective is to invite the world to share in a community and a culture, and by that act of participation it ensures the future of that culture and community. As much as possible, everything at the inn is sourced or built on the island. The hierarchy is always: Fogo (can it be bought from a supplier on the island or can someone be trained to supply it? ); then Newfoundland and Labrador, then Canada, and finally Canadian trade partners with a track record of human and workers’ rights. All rooms at the inn face the sea. 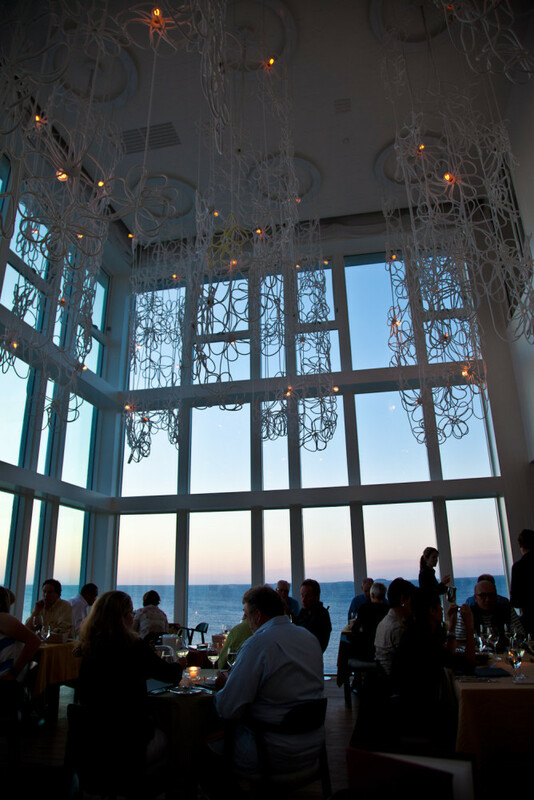 Little Fogo islands can be seen dotted on the horizon, while the ‘wrote’ floats in through the windows. The whitewashed walls are contrasted by the colourful, energetic wallpaper, pillows, rugs, cushions and rocking chairs. It is a balance between what Toronto-based designer Carolina Soderholm describes as “anarchy of colour” and “nondescript beige”. “One of the big disadvantages of small communities is a lack of access to good design,” Zita declares. She brought in designers to work with locals who are more used to shaping the bulky curved keels of punts than fine-curved tables and chairs. The result is smart and modern furniture that is now sold through the inn. Rocking chairs made by Fogo Islanders are ready and waiting to be shipped to Berlin, once Zita works out how the postman can fit them on his bike. The inn has also spawned the creation of the Winds and Waves Society, a group of women who make all the quilts and soft furnishings. Guests are ordering so many items that the ladies have a backlog of orders, which may see them working seven days a week to get through them. After devouring acres of wild blueberries, you could be forgiven for passing on another of the great pleasures of the inn. Headed by executive chef and Newfoundlander Murray McDonald, the restaurant serves up a menu that is rather astounding yet playful at the same time. Its dishes, like the Newfoundland shrimp with albino strawberries, cucumber, pepper and mint oil covered in a strawberry gazpacho, have seen the inn win awards like Best New Restaurant for 2013 by Air Canada’s En Route magazine. ‘Will people really come here?’ is the most common question asked by locals; even Zita asked it herself. Who made that fateful first call? A man from Saskatoon who had been watching with great interest what was being done on Fogo and couldn’t wait to see the results. He wasn’t the last. While Zita is working feverishly to galvanise the community to see if the Fogo way of life can be saved, the islanders are struggling to overhaul their own concept of what the future looks like. “The worst part of the problem is that we were suffering from a deficit of ambition,” Zita explains. But it is the outsiders coming to the island – those not just visiting but actively loving the island, its people and the inn – that are changing the islanders’ outlook the most. The Fogo Island story is as deep as the Atlantic. At its heart is a traveller’s journey into and connection with a unique and previously inaccessible way of life that after 400 years is close to extinction. Wrapped around this is a fabulous hospitality experience and an enterprise with benefits far wider and more profound than commerce and profit. Air Canada flies to Gander from Halifax (Nova Scotia), Goose Bay (Newfoundland) and St John’s (Newfoundland). The trip from Gander to Fogo is about an hour – as long as you time the crossing with the ferry. The inn will organise airport transfers with a ‘local host’ – probably one of the Dwyers, Pentons or Foleys. 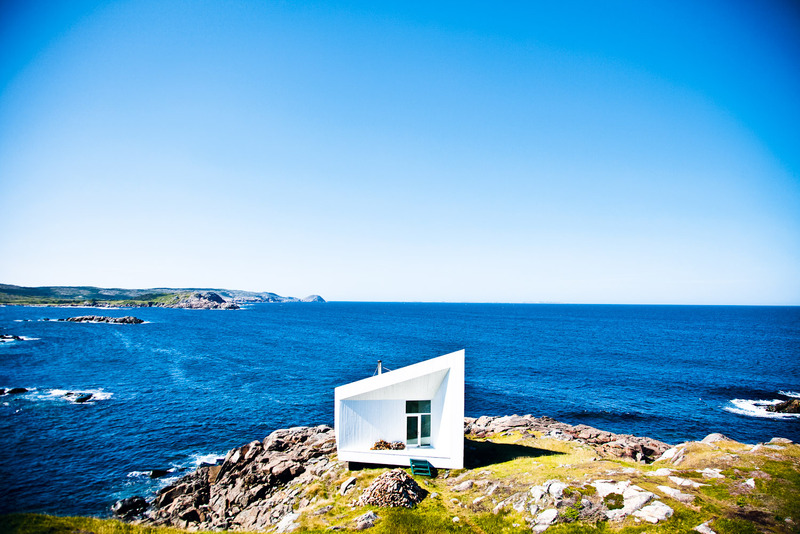 Fogo Island Inn has rooms starting from $875 per night, with a two-night minimum stay. There are some great books and films available to get a sense of the Fogo Island and Newfoundland story. This incredibly readable book is packed with recipes and explores how cod drove much of the exploration of the northern reaches of North America and its incredible geo-political influence over the word. This Pulitzer Prize-winning book is one of the great North American novels set in Newfoundland that give a great sense of the land and its people. A series of films called the Fogo Process shot in 1967 that sought to document the Newfoundland way of life as it confronted the loss of in-shore fishing. This doco-drama, which captures the beauty of the island landscape and uses locals as actors (Norm Foley is one of the stars), explores what the point of staying is if there is nothing to stay for. An indie film festival fave. $875.00 per night, is this a typo? Unfortunately it’s not a typo. This is a high end hotel. There’s the quiet cannon hotel which is much more affordable and a great stay for around 100$ a night with kitchen in the room. Great article but one typo. The berry is called a “bakeapple”, not “baked apple”. I was born in Fogo in 1925. ‘m one of ten children, born to Agnes and Austin McGrath, of Tilting. They were hard working people who loved and worked the land to feed all of us. We are now living all over the US and Canada but just love to return to the place that holds so many beautiful memories. In fact, my husband and I are heading there in two weeks for two months so we look forward to peace and tranquility. Can’t afford the Inn but we have our own little house with an ocean view. If you plan to visit Tilting, stop by and visit us. We live in Maine now and it has it’s own beauty but it’s not home. I was born in Cape Cove on Mar 1 1935 my mother was an Eaton I fish there with my Grand Father in the early fifty’s I also fish in Joe Batts for one summer in 1952! I enjoyed reading up on this! And wish you all the best! GOD BLESS! I am originally from Fogo and grew up a Fishermans son. My wife is from Joe Batts Arm and her Dad also fished for a living. We think it’s fantastic what Ms Cobb has done and the vision she has for the Island. For anyone to put so much of their own financial resources into the Island shows the type of caring person she is. She is not the only one, to all the people who have stayed we wish you nothing but the best and thank you all for making sure all the traditions are not forgotten. We would love to come and stay but as seniors we are not able to afford this. My husbands family is from there having landed there in 1803 from England. We hope to visit in the near future and will probably try to stay with friends. Looks lovely though. The Old Salt Box Company is a great option with renovated Saltbox homes. Very reasonable as well! There is always the option to book an island tour with me and have your very adventure with a tour of the fantastic Fogo Island inn as well. There are other places to stay on Fogo island but unfortunately international traveler couldn’t find any of them. Many B&Bs at very reasonable rates.